We don't always realize that we carry our stress in our jaw, but most of us do. Many people clench while stressed during the day, whereas others clench at night while sleeping. If you experience regular jaw pain, neck tightness or headaches along the sides of your temples, you may be suffering from bruxism. Life and work can be stressful. Our bodies absorb this stress which can manifest in many different ways that we don't even realize are stress related. Many people carry their stress in their jaw by clenching, either during the day or at night without even noticing. 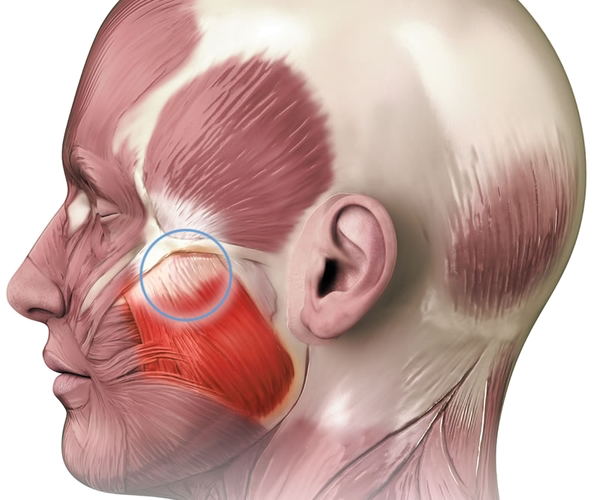 Pay attention to your jaw today and note if you find yourself clenching while focusing or at stressful moments. This can lead to tension not only in your jaw, but this tension frequently extends up to the temples and neck muscles resulting in headaches. On the other hand, you may be a nighttime clencher. If you wake up in the morning with tightness or discomfort in your jaw or teeth, you may notice that you tend to have a feeling of tension that spreads to the sides of the neck or the temples. 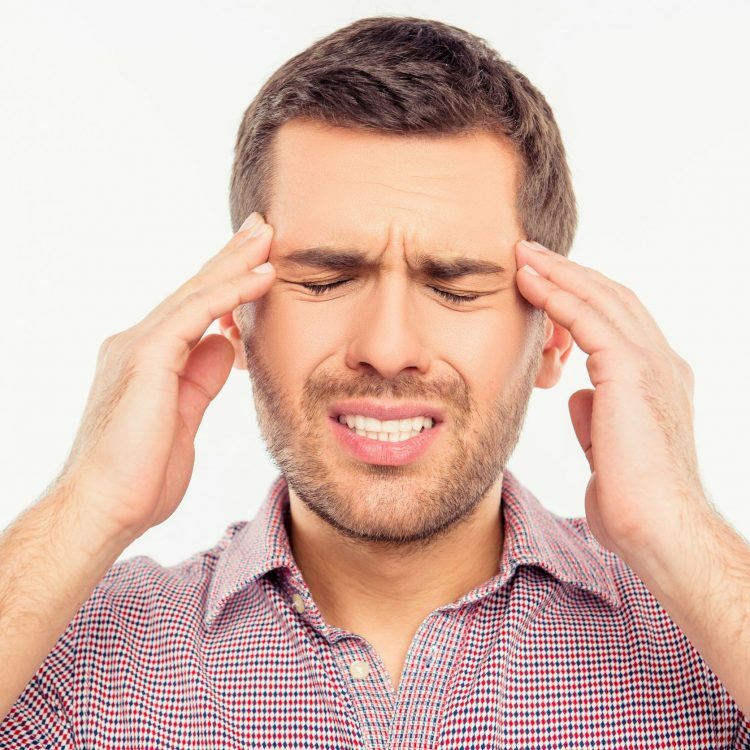 In more severe cases, people routinely awaken with headaches. Some people grind their teeth at night as well, making a grinding sound that sleeping partners may notice. Aside from headaches and physical tension, bruxism is damaging to your teeth. The repetitive pressure and grinding of your teeth causes a wearing down of the tooth shape, leading to flatter appearing teeth. The pressure can also cause hairline fractures or larger breaks in your teeth that create openings for bacteria to infiltrate leading to cavities or root infections. Your dentist gets concerned about bruxism not only for these reasons, but this clenching and grinding can do great harm to "dental restorations" like implants, crowns or bridges you may have, resulting in unusual wear, cracks, breaks or complete failure of your restoration. Your face shape can change as well. Over time, your jaw muscle called the masseter will bulk up and and grow, giving a square "chipmunk" look to the face. In women, this can appear as a chunky or more masculine jaw line. BOTOX : A simple 5-10 minute treatment with Botox can calm the masseter jaw muscle enough to diminish the intense pressure created when we clench. The treatment, of course, allows for full chewing and talking function of the jaw so you can go about life normally. Commonly after a few treatments, the brain is retrained to stop relying on the clenching behavior so treatments can be done less frequently. Patients will notice a pleasant reduction in head and neck tension, a lower frequency of headaches, and a smoother contour to the face. Dr. Alex may recommend this treatment if you have moderate-severe bruxism and are undergoing any dental procedures like implants, crowns or bridges in order to prevent damaging them. NIGHTTIME DENTAL GUARD : These types of dental guards are small, clear and easy to use. The guards clip on to the front teeth and separate the upper and lower jaws while you sleep to prevent the teeth from contacting and clenching. This treatment is only effective however for those who are nighttime clenchers and requires remembering to put it on before sleeping. Similar to the Botox treatment option, the brain commonly is retrained with the dental guard method to stop clenching while sleeping.